Comes in a cardboard sleeve with disc and no inner sleeve. 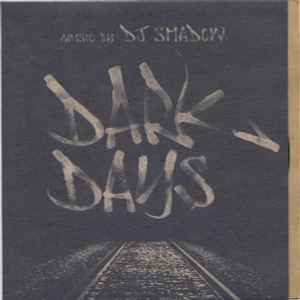 Music from the film "Dark Days". B-side version includes a vocal sample from the film. On disc writer is J. Davis while back sleeve says Josh Davis. Limited release of 3000 copies, according to MCA press release. Contains sampled elements from Bamboo And Rice, written and performed by Bill Osborn, produced by Jan Kurtis Skugstad. In particular, the instrumental version on side B. In addition, also samples the David McCallum single House Of Mirrors (taken from his Music - It's Happening Now! album). ℗ © 2000 MCA Records. I don't know if all Dark Days copies are like this, but mine requires a 45 adapter. If only DJ Shadow had continued making this kind of cutup filmic jazz, rather than the tripe that pervaded "The Private Press". The music goes really well with the film too, which also uses music from Shadow's first proper album.